So, Christmas is just around the corner. Very exciting, although the prospect of having to get a gazillion things done at work before the big day is slightly too front-of-mind at the moment for me to feel overwhelmingly festive. 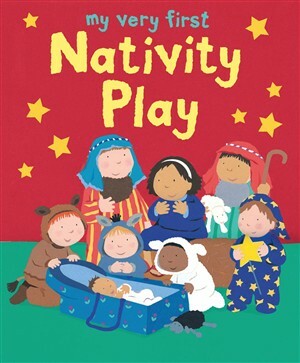 The thing I’m really looking forward to this year is my son’s nativity play. He started school in September – and, since then, I’ve been wondering what they’ll be doing to mark the occasion. It’s not a church school, so I wasn’t sure whether the whole Nativity thing would be on the cards. Thankfully, though, it is. I’d have been gutted if he hadn’t been able to take part in something like this; after all, what parent doesn’t want to put a tea towel on their child’s head and bore other people with stories of how cute they were on the day? In our house, we’ve developed a little nightly tradition: the Made-Up Story. It’s hardly the most revolutionary or unique idea, although in the Jackson family the story is always about Little Mouse and his escapades with the dastardly Colin the Cat. I can’t remember quite when this started, or why the cat is called Colin – but anyway, it’s now become a happy part of our kids’ bedtime routine. Tonight, while settling my four-year-old, I had one of those many lost-in-translation moments that occasionally occur with children. If you’re a parent, you’ve been there countless times before, no doubt: you say one thing; they hear it as another, and an entirely new phrase is then formed. The context on this particular occasion is that we’d had a fairly awful teatime, trying to eat together harmoniously as a family but ending up having to deal with a series of delightful comments along the lines of “I hate this food” (before he’d even tried it) and “give me my pudding NOW”. Nice. So, to calm things down at the end of the day, I injected some added humour into the nightly story (it’s always hilarious, obviously, but on this occasion it was extra-funny). 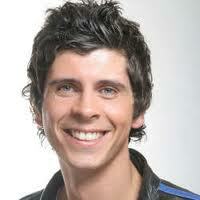 Little Mouse described Colin, not unfairly, as “Lanky Pants”. That got my 4-year-old laughing his little head off. By contrast, what happened next made me panic about what he might share during Carpet Time at school tomorrow. I’m never entirely sure what to do in those situations. Making a scene out of it surely only encourages a mischievous 4-year-old to shout it from the rooftops – and I’m not sure the neighbours would appreciate that. Ultimately, it’s all very innocent at this age. There’s no need to worry about the occasional misheard word that makes Little Mouse sound a lot cruder than he actually is. What concerns me far more is what my kids will be saying once they reach secondary school. A work colleague of mine was recently confronted with the following comment from their daughter after school: “Mum…? Is c**t a rude word?” In that light, Wanky Pants could only be described as a term of endearment. I remember the days when the idea of two weeks’ paternity leave was a novelty – so the notion of being able to take up to a whole year off work seems pretty revolutionary. And it got me wondering: what would I want to do, given the choice? Part of me says I’d jump at the chance of having 50 weeks’ paternity leave. After all, I absolutely love spending time with my kids, and it’s a constant challenge to protect that time. Only today, I felt like the worst dad in the world when, unexpectedly, I had to go into work on my week’s holiday. ”But why Daddy not take me playgroup? Daddy said he would…” are very hard words to hear from your toddler. I really felt like I was letting her down, putting an admittedly very important work meeting above spending time with my excited daughter. More time at home with the kids is the dream of a great many dads – and an awful lot of mums, too – so why wouldn’t I want to have as much time off as possible with them when they’re little? 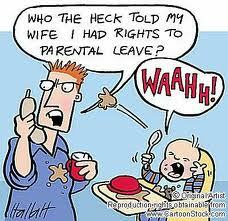 At the same time, though, the thought of being a trailblazer for shared parental leave brings me out in a cold sweat. I love what I do for a living; if I took a year out, wouldn’t I get left behind? And anyway, so I tell myself, although the world of work is comfortable with the idea of maternity leave, what would people think if I said I was taking most of the year off to spend at home with my children? For me, all this is far from being only hypothetical: our third child is due in January. Although, on the basis of how long these things usually take to become law, our youngest will probably be about 15 before this actually hits the statute books. Anyway, if you’re a dad, what would be your ideal scenario? And if you’re a mum, do you like the thought of shared parental leave, or would you really rather us dads didn’t muscle in on your well-deserved year off? Despite wondering how it might work in our house, I do think it’s a brilliant idea. Why should every mum be made to feel they have to stay at home – and every dad be pressurised into feeling grateful for the blink-and-you-miss-it fortnight of paternity leave? I guess the challenge in all this will be for the employers: will they run with it, encouraging the dads on their teams to truly share their parental leave? Or will it be a case of “well, go on then, if you must, but I’d really rather you didn’t”? There are many fun ages to be. 18 is pretty good (both school and puberty are over and done with but the world of work is either a few years off or is still a novelty). 65 must be quite nice, too: freedom from the daily commute at last and the chance to spend all afternoon in the pub or the bowls club, just because you can. But to be honest, when it comes to the ideal age, I think four takes an awful lot of beating. This was brought home to me this weekend, chatting to my four-year-old son. His innocent contentment with life was best summed up by his attitude to Christmas. Firstly, the whole idea that Christmas is just a few weeks away seemed too much for his little mind to cope with. He’s evidently already decided what he’s going to buy for his little sister (a Hello Kitty pillowcase and duvet cover, since you asked) and he seems to have got Christmas Eve completely sorted when it comes to knowing what we need to leave for the big man. He’s ridiculously excited about going to Granny and Grandpa’s on Christmas Day, and he can’t quite believe I’m not going to be going to work at all that week. But of all the comments he made today, it was his request for a specific present that was so endearing. 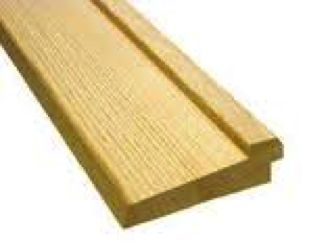 For the avoidance of doubt, this is indeed a wooden door sill. Let me explain. The one by our front door is cracked. We’re now all used to stepping over it – but for my little lad, Christmas will evidently be complete only when we give him a new piece of wood. “I really, REALLY want one, Dad,” he exclaimed, with genuine enthusiasm. Which just goes to show: when it comes to Christmas presents, beauty really is in the eye of the beholder. Needless to say, there’s only a very short period of time when this kind of random gift will be tolerated (my dad learned this the hard way when at the age of 53, his only Christmas gift to my mum was a jumbo roll of cling film). 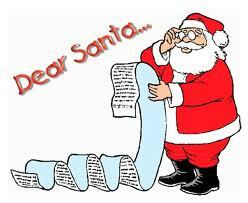 But this Christmas, I’m going to enjoy the fact that my kids only want the simple pleasures in life. It’s going to be a bit of a challenge to fit a new door sill, but it’ll be a darn sign cheaper than having to fork out for an iPad 4. Since first-thing on Monday morning, my colleagues and I have observed an all-too-familiar occurrence taking place outside our building. It started with just a couple of sleeping-bagged teenagers. Then, the following day, there were about 20 of them. Fast forward on to tonight and, by the time I left work, there were literally thousands of teenage girls gathered in eager anticipation for the arrival of Robert Pattinson (R-Patz, if you will) and the rest of the Twilight cast. Being based in Leicester Square, me and my colleagues often share our little patch of London with all sorts of famous people, none more so than when a film premiere is taking place. 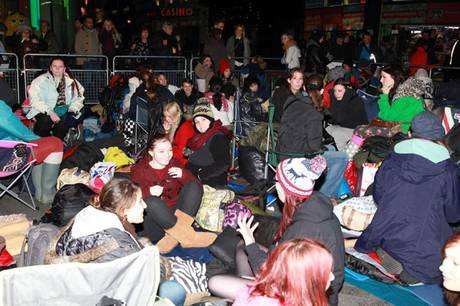 And this week, the hype around the Twilight premiere, which took place a few hours ago, has been ridiculous. As I looked outside the window next to my desk this afternoon, I saw a sea of young girls – typically aged about 13 or 14 – many of whom had literally been there for days. It got me thinking: is this kind of thing healthy? And would we, as parents, seriously consider schlepping up to some cinema with our kids, camping out in the freezing cold, just to ensure they could catch a glimpse of some vampire sweetheart? We were chatting about this in the office (it was mainly along the lines of “Look at that woman who’s fallen asleep in the fold-up chair! LOOK AT HER! She’s the one who’s been here with her daughter since SUNDAY NIGHT!”) and most parents seemed to agree that there’s no way we’d ever be in that crowd. But I’m not so sure. It’s all too easy, when our kids are really little, to smugly pronounce that they won’t be into that sort of thing – but it’s often the opposite of what happens. My two children are aged four and two at the moment – so they’re still fairly controllable when it comes to the books, TV shows and films that come before their little eyes. But, give it ten years, and I’ll no longer be the one in permanent control of the remote. They’ll be able to watch what they want, to become obsessed with whoever they’re meant to be obsessed with – and there’ll be very little I can do about it. Being a teenager is a fairly miserable experience at times and, although I can say for certain that I’d draw the line at having a sleepover on the pavement, I can’t say that I won’t ever end up in a similar situation to the woman on the fold-up chair. I want to show my kids positive role models, to prove that they don’t need to define themselves by celebrity culture, and so on – but that won’t necessarily stop them having a huge crush on some teen star or other. Which is a rather scary thought, to be honest. I left work tonight before the Twilight premiere got going – but I really hope Robert Pattinson stopped for the two girls right at the front. After all, they were holding a huge homemade sign that said R-PATZ!!! WE’VE TRAVELLED FROM TAIWAN!! – and if they don’t even get so much as a glance in their direction, it’ll be a bit of shame (and a little bit funny, too…). This last couple of weeks has been pretty eventful. My dad announced his early retirement; one of my best friends got engaged; and the fifth of the Jackson Five, whose estimated time of arrival is at the end of January, seemingly started to respond to my voice in the most amazing way (I continue to claim that the kicks in the womb are ones of unambiguous delight). But for my son, the only truly momentous moment of the last fortnight occurred this weekend – for it was then that he met Andy from CBeebies. For the avoidance of doubt, or if you’re not already acquainted with Channel 71 on Freeview, Andy is the tall, smiley one. You know, the guy whose show Andy’s Wild Adventures is already a huge hit with pretty much every pre-schooler in the country. Still struggling to place him? Let me help you out. 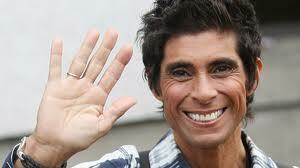 As one of my friends recently observed, Andy bears an uncanny resemblance to Fatima Whitbread. So, the show was great, Andy was universally appreciated, and everyone left happy. But then, as we went to get in the car, we saw an oddly familiar figure approaching. I’d like to say it was the boys who excitedly spotted him first – but actually, it was the dads. 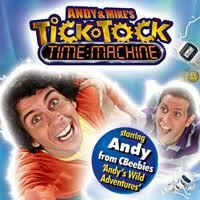 For there was Andy, no doubt hoping to swiftly drive off to the Garden in the Night, or wherever it is he lives. Before he could make a speedy exit, Andy was intercepted by us dads and our two very awestruck four-year-olds, with whom he then happily posed for photos. We all remained ultra-cool, obviously. But what I really wanted to do was hug this man and tell him how much he and his CBeebies colleagues had been lifesavers for me and my wife at various times over the last few years. For, together with the likes of Mike the Knight, Granny Murray and Charlie and Lola, they’ve stepped in and provided a friendly face when, frankly, we were struggling to even stay awake. So, thanks Andy. And sorry for getting in your way when you were trying to get to your car. I bet parents like me are a right pain – but we really are grateful. About two years ago now, along with a couple of friends, I helped to start a dads and kids playgroup. It was inspired by a trip the three of us made one Saturday morning to a little place in Wimbledon, which consisted of not much more than toys, snacks, and about eight fathers playing happily with their offspring. Our three boys had a great time – but interestingly, we dads also got the chance to have a good old catch-up (don’t believe the myth that it’s only mums who like to chat). It was a fun, encouraging morning, which we thought we could replicate a little closer to home without too much bother. So, inspired by what was happening in Wimbledon, our idea quickly blossomed into a dads and kids get-together in a church in Balham. One Saturday morning a month, the rows of chairs were replaced with sofas and newspapers for the dads, and toys and games for the kids. Overall, it was great fun: within a few months, we had around 15 regulars and we all started to get to know each other pretty well. There was, however, one exception: the man who shall forever be remembered as Nightmare Dad. Now, me and my two mates in question are fairly relaxed people (at least, that’s what I like to think). But Nightmare Dad brought our stress levels up to never-before-experienced heights. 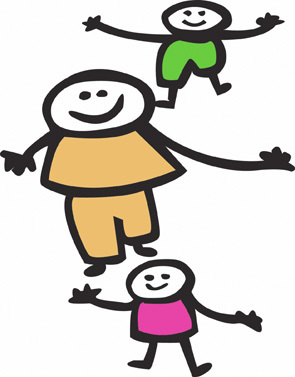 For starters, he didn’t just bring his one young child along; he turned up with all three of them. Most of the kids there were aged three and under; this bloke’s brood were four, six and seven. So, already, there was something of an expectation-versus-reality issue for the older ones. They spent most of the time zooming around on bikes that were too small for them, terrifying any toddler that happened to be in their path. The middle child kept his coat and cycle helmet on throughout – which, ironically, seemed to make him MORE reckless when in control of a vehicle. Anyway, now we’ve been in our new neck of the woods for nearly a year, I’ve started to wonder whether now would be a good time to find a couple of other dads who might fancy doing a similar Saturday playgroup down this way. Before I do, though, I need to be absolutely sure that Nightmare Dad is still firmly ensconced in SW12. If he’s anywhere near here, this idea’s going firmly on the back-burner.